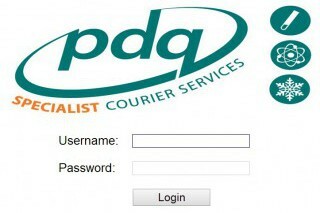 PDQ Cold Call understands the importance of a secure and timely delivery. With this in mind, we developed PDQ Track & Trace, our innovative portal which allows our customers to seamlessly book and track jobs, print collection and delivery labels, and view collection and delivery signatures. We take advantage of barcode and GPS technology to securely track our customers’ consignments, ensuring a timely and accurate delivery to the designated personnel and a safe chain of custody. Our secure, web-based portal allows customers to access the GPS location and temperature of their delivery vehicle, view real-time proof of delivery notes and track the stages and progress of their products. PDQ Track & Trace also allows our customers to run bespoke KPI reports based on all spectrums of criteria. This ensures full accountability with a fully auditable electronic audit trail available throughout the delivery process. This guarantees the integrity of our customers supply chain and ensures a safe and secure chain of custody.